Celebrating the 300th anniversary of its founding this year, New Orleans is a city whose culture and cuisine have captivated the American imagination for generations. Given the way authors and travel writers have described the city as a place steeped in French and Spanish traditions, it is not all that surprising that Americans have come to associate New Orleans primarily with European cultures. New Orleans’s history, though, is not only tied to countries like France and Spain. Like any major port, New Orleans has been influenced by a diverse group of migrants coming from all parts of the globe. The presence of those disparate cultures in New Orleans, however, makes it difficult to define “Creole” New Orleans, a title that has become a cultural catchall despite its distinct and traceable plethora of influences. “New Orleans for the Tourist,” 1909. Courtesy of Warshaw Collection of Business Americana—Geographic, Louisiana, Archives Center, National Museum of American History, Smithsonian Institution. 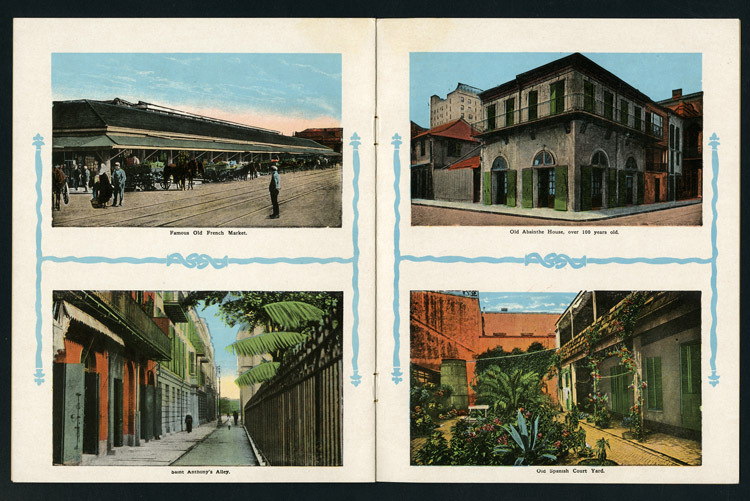 New Orleans: “The Crescent City.” Courtesy of Warshaw Collection of Business Americana—Geographic, Louisiana, Archives Center, National Museum of American History, Smithsonian Institution. After living in another river city, Cincinnati, Hearn settled in New Orleans from 1878 to 1888, where he wrote about all aspects of urban life, but seemed particularly entranced by the city’s food scene. Eventually, he compiled what is popularly consider the first Creole cookbook, La Cuisine Creole (1885)—one of the first published works that identifies the food of New Orleans as “Creole cuisine.” After spending years in New Orleans, observing the people that frequented its food markets, restaurants, and taverns, he endeavored to define the city and its food culture for American audiences. According to Hearn, “‘La Cuisine Creole’ (Creole cookery) partakes of the nature of its birthplace—New Orleans—which is cosmopolitan in its nature, blending the characteristics of the American, French, Spanish, Italian, West Indian, and Mexican.” He also identified a set of dishes he saw as part of the canon of Creole cuisine, including gumbo and jambalaya, both of which were heavily shaped by West African and Caribbean culinary traditions. 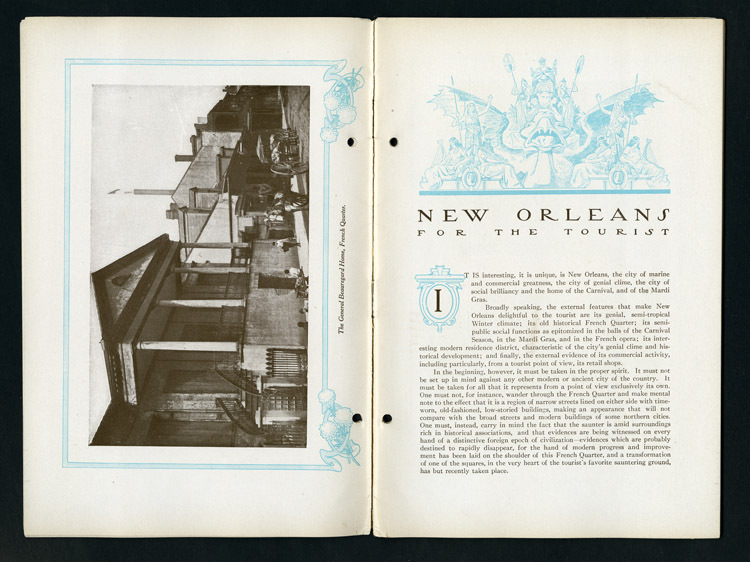 New Orleans’s cookbook culture took off after the publication of La Cuisine Creole, resulting in the publication of hundreds of cookbooks. Although Hearn acknowledged the cultural potpourri of New Orleans’s food scene, many of his contemporaries did not. At the turn of the 20th century, early Creole cookbooks glossed over or omitted entirely the contributions of people of color, thereby depicting New Orleans as a product of European culture rather than one equally, if not more so, influenced by West African, Caribbean, and Latin American cultures. So enduring was this vision of Creole cuisine as an unchanging relic of a European colonial period that it is hard for Americans to imagine the city’s cuisine as it truly is: fluid and in constant evolution, and connected to a vast cultural web that stretches from the Gulf of Mexico around the globe. Throughout the 20th and 21st centuries, diverse people and cultures have reshaped the city’s food culture. By 1900 Sicilian migrants had integrated themselves into the city’s local food culture and economy—serving as food vendors in the city’s public markets and introducing stuffed artichokes and muffaletta sandwiches to the Crescent City. As a result of the Vietnam War, Vietnamese refugees migrated to New Orleans in the 1970s, acquainting New Orleanians with pho and banh mi, which have now become staples of the city’s food scene. Since Hurricane Katrina, migrants from Central and South America have been a crucial part of the labor force rebuilding the city; it is now common to find restaurants offering piping-hot pupusas and arepas. These largely unrecognized, yet present, food cultures are very much alive in New Orleans’s food scene today. Chef Alon Shaya. Courtesy of Alfred A. Knopf Publishers, New York. Photo credit: Rush Jagoe. Within this environment marked by flux and fusion, chef Alon Shaya’s long celebrated career in New Orleans skyrocketed to national fame in 2015—not by making gumbo and jambalaya, but by making borekas and shakshouka—dishes featured at the restaurant bearing his name, SHAYA, and in his cookbook, SHAYA: An Odyssey of Food, My Journey Back to Israel (2018). Like that of New Orleans, the cuisine of Israel is perhaps best described as a melting pot. In his cookbook, Shaya notes that Israeli cuisine draws influences from many regional food cultures, and in his own words states, “Israeli cuisine is a gumbo, a melding of many food cultures.” Israel is a nation whose food cultures was fused through the processes of immigration, marrying flavors from Germany, Bulgaria, Yemen, France, Spain, Turkey, Morocco, and Greece, among other countries, with an existing and vibrant Arab food culture. Shaya’s personal history is bound up in this process. His grandparents immigrated to Israel, and he emigrated from the country to the United States as a child, taking with him memories of fried eggplant and lamb kebabs. In New Orleans he revived flavors from Israel, embracing the fluidity of New Orleans’s food scene to establish what would become a James Beard Award-winning Israeli restaurant in the heart of Creole New Orleans. Shakshouka, eggs poached in a spicy tomato sauce, featured in SHAYA: An Odyssey of Food, My Journey Back to Israel. Courtesy of Alfred A. Knopf Publishers. Photo credit: Rush Jagoe. 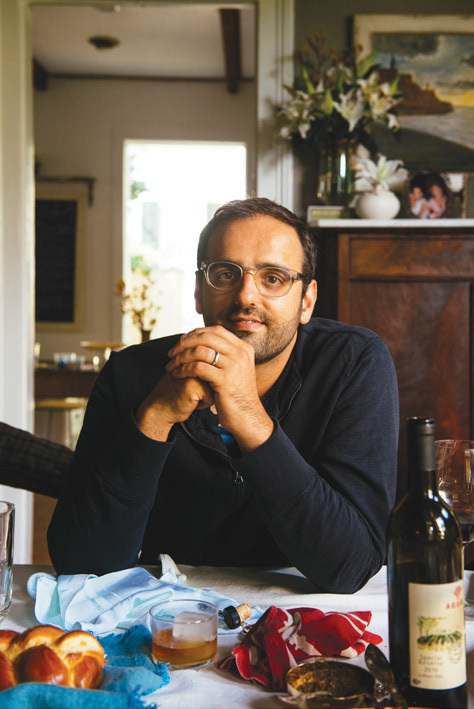 This month, Shaya will be our guest chef for “Cooking Up History,” where we will be discussing his professional career and personal connections to Israeli cuisine and how he was integral in bringing these traditional foods to the attention of both New Orleans and the nation. His program will be an opportunity for the museum to commemorate New Orleans’s tricentennial by exploring one in an amazing array of culinary cultures that have shaped the city’s culinary scene. This program will also be an opportunity to revisit Lafcadio Hearn’s definition of Creole cuisine and discuss the ways in which New Orleans’s food culture has evolved since the publication of La Cuisine Creole in 1885 because of innovators like Shaya. "Cooking Up History" is generously supported by Hilton, the program’s lead sponsor, and Wegmans. Ashley Rose Young is the historian of the American Food History Project at the Smithsonian’s National Museum of American History. She is also the host of “Cooking Up History,” a live cooking demonstration at the museum’s demonstration kitchen. During these programs, Young and a guest chef prepare dishes and discuss their history and traditions.